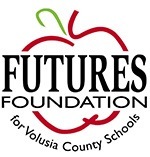 Daytona Beach, FL - The Consortium of Florida Education Foundations (CFEF) recently awarded the FUTURES Foundation for Volusia County Schools $15,000 for a Florida Power & Light Company (FPL) EmPOWERing STEM Educators grant for a STEM-focused teacher peer-to-peer learning opportunity. Two teacher leaders and five team teachers from the Academy of Information Technology and Robotics at Spruce Creek High School were selected by the school district STEM Coordinator Amy Monahan to lead this peer-to-peer learning experience for 14 middle and high school teachers. This program will impact teachers from seven high and middle schools within FPL’s service area who serve more than 2,100 students within Volusia County Schools. The goal of the new FPL program is to increase teacher knowledge of effective math and science instructional practices that align with Florida Standards through classroom-based, teacher-to-teacher learning of effective instructional strategies. Since 2010, the CFEF has administered hands-on, workplace-based STEM classroom learning experiences to increase student awareness and interest in STEM careers. These projects are managed at the school level through local education foundations that understand the needs and capacity of district schools and teachers and are able to target the funds for largest impact. In 2016 through 2018, the CFEF piloted 15 Peers in Public Practice projects supporting days of observable instruction for K-12 teachers to learn from their highly-effective peers in real-world, real-time classroom situations. 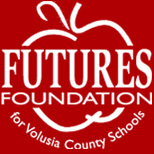 During the 2017-18 school year, Volusia County Schools produced a Peers in Public Practice program through a CFEF grant received by FUTURES Foundation. FUTURES is continuing to fund a P3 program again this school year impacting teachers across the district. As long-time partners with the CFEF, FPL observed the great outcomes from this pilot program and understood the CFEF’s capacity to implement impactful projects through their membership. Together, they developed EmPOWERing STEM Educators to offer this type of professional development specific to math and science teachers throughout FPL’s service territory.